This mesh clam bake bag is the secret to creating a successful classic-style clam bake! 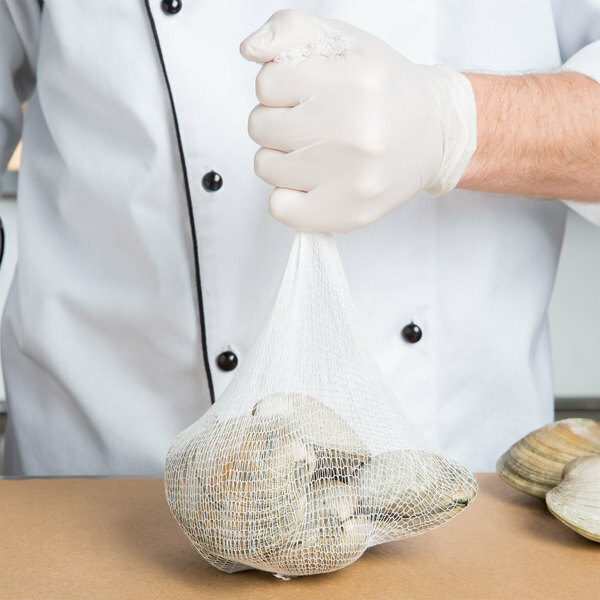 Once your seafood has been cleaned and is ready to go in the steam pot, try using a clam bake bag! 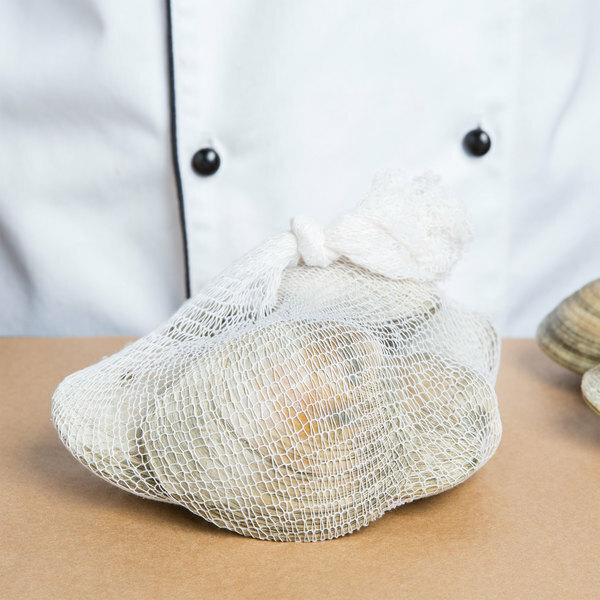 Not only will this stretchable bag make it easy to remove your clams when they have been steamed to perfection, but it will help with portion control too. Layer your bag with corn on the cob, potatoes, lobster, and clams for a traditional style clam bake. The bag will stretch to hold a large amount of seafood and it will also help keep the steam and delicious flavors inside. "We are a caterer located along the Emerald Coast in Florida. One of our signature parties is a Gulf Coast Shrimp Boil. These bags are LOVED by the customers because it makes it very easy to control cost for a large party. Guests are not able to consume all the available seafood before…"
By packing your clam bake bag full of vegetables and clams, steam will be captured inside the bag, allowing for even cooking while also locking in flavors. Try adding sausage, oysters, mussels, and a helping of Old Bay seasoning for a flavorful dish! When you have a lot of guests to serve, try using this bag for portion control. You can determine the amount of clams per bag so that when properly steamed, all you have to do is pull out the bag and serve! 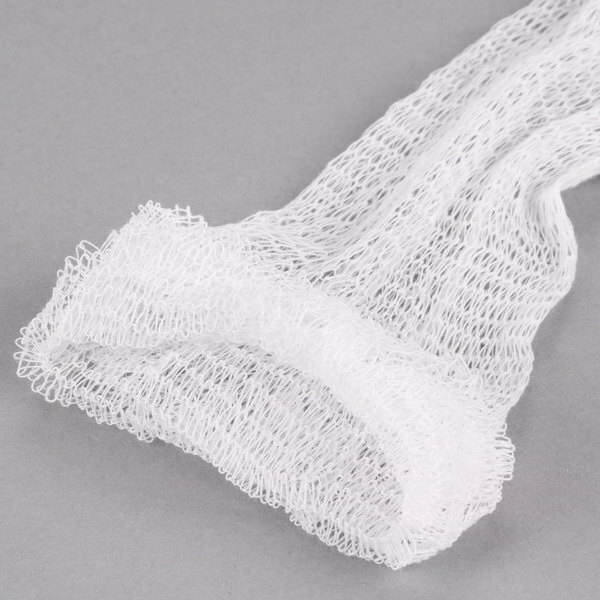 Made of a soft, stretchable mesh, these bags have a enough room for a couple dozen clams. The mesh will even stretch to accommodate whole lobsters and corn on the cob, so that you can create a classic clam bake recipe! We have been using these bags for many years. 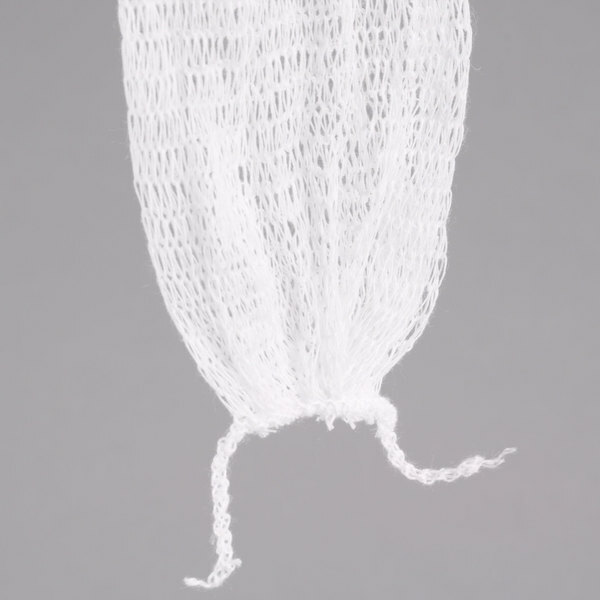 They hold up well and are food safe, considerably than the usual cheesecloth bags normally used for clam bakes. We are using these to hold beans for our blind baking of our pies. They work well, but they do shed a bit so you have to be cautious not to get it into the food. 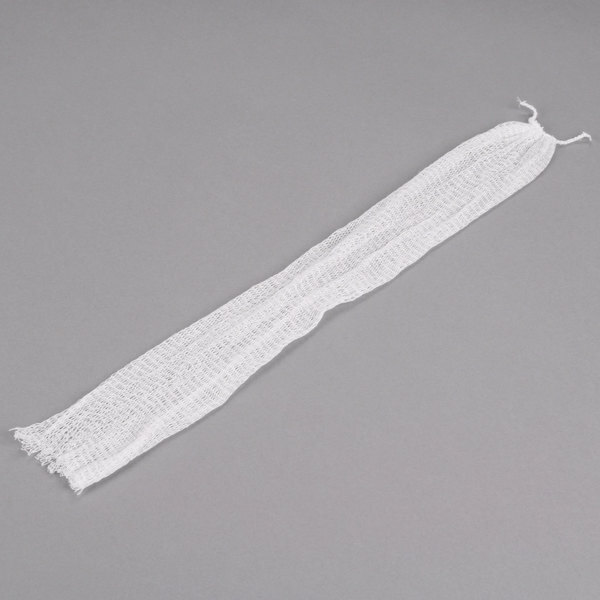 We were previously using a plastic-based, longer portioning bag to steam clams and mussels. These bags do fit the 20 oz portion size we use, but can be difficult to tie off at the end with enough room for the shellfish to open when they cook. Chefs also stated they are a bit difficult to see when the shellfish are fully cooked, as the netting is a tight weave. 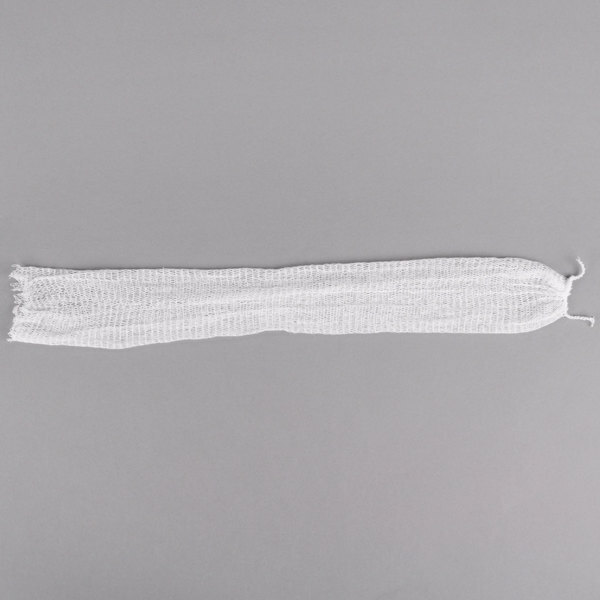 They present a bit nicer, reminiscent of a fisherman's net, and do not stain with a beer or wine based cooking broth. The bags are sturdy, they cannot be ripped, they need to be cut open with a knife or scissors to serve. Presentation-wise, they look great. Ease of use could be improved. We do a shrimp boil one night a week and these bags work perfectly for proportioning the food. We can then drop the bag in the pot to boil. We have already ordered more. Perfect for steaming hard shell clam dozens. could fit two dozen in a bag great for doing large batches of hardshell clams at at time. The bags are a quality item. Idea for Clam bake. Worked excellent for Clams , Chicken pieces, and all other vegetables. I will purchase these items again for all my clam bakes and steaming parties. Fantastic product for those who clam bake. It make it quite easy to do multiple orders. Makes the chefs life easy as well. Would re-order anytime. We are a caterer located along the Emerald Coast in Florida. One of our signature parties is a Gulf Coast Shrimp Boil. These bags are LOVED by the customers because it makes it very easy to control cost for a large party. Guests are not able to consume all the available seafood before persons at the end of the line arrive. Thanks for providing a nice product that is economical for the consumer and user friendly for the caterer! The clam bake bags essentially get the job done, but can shed quite a bit and put off a lot of lint, debris etc. Not something you want customers to come across when their meal is served. The idea of them is great, but the quality is lacking a bit. We appreciate your review, Michael! A Customer Solutions Representative has issued a credit to your account for the faulty bake bags. Clam bakes are a great way to celebrate any big summer event. These clam bake bags make is extremely easy to get all the ingredients together and cook them. It's small, it would hold about 7 oysters. I bought these intending to use them for an oyster roast, but there are going to be small for that. See my picture and video for more. I will say it is quite sturdy, and I think it could stand up to as much rough shellfish as you could fill it with.